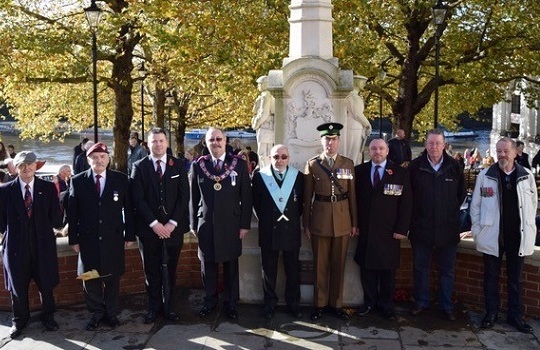 How fitting that, as Masons remembering the darkest of days of war, this year we were permitted to wear our Masonic collars while taking part in Remembrance Day processions. Beginning with that wonderfully open video series on Sky, delighted by that thundering “enough is enough” letter in the Guardian, celebrated by our Tercentenary gala in the Albert Hall – for the past couple of years we have slowly but surely been advancing from the shadows into the light, and have been presenting ourselves for the beneficial and fraternal society that we are. 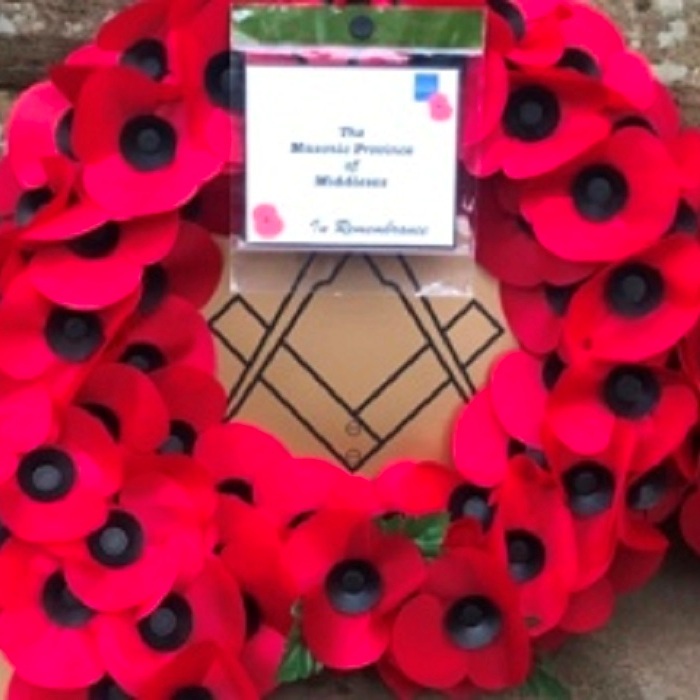 As a relatively “young” mason (at least in terms of being a member of our organisation), masonically speaking I was not part of the WWII, and post-war periods, when persecution, and even death, could have been the possible outcome of being recognised as a Mason. I didn’t join until 2007, so at first was unaware of those dark days of the past. As a result, I had always been puzzled by the reluctance of many of my Brethren to even talk about Masonry outside the Lodge, let alone declare themselves Masons. Me – I am proud of being a Mason, I am proud of the good work we do, and I am proud to have been accepted into this, our Brotherhood. Which has always made it seem strange to me that we hid ourselves away, leaving it to outsiders to fan the flames of myth and legend, instead of standing up and proclaiming the truth of who we are, and what we do. 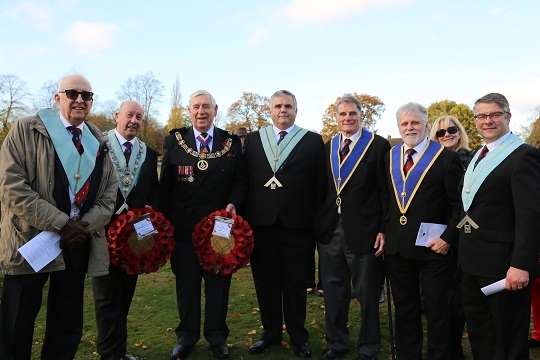 How delightful then, to receive the communication this year, that we were allowed to wear our collars when taking part in Remembrance Day parades, and while laying wreaths on behalf of our Lodges. How inspiring to see the Brethren proudly wearing them, and to be wearing mine alongside them. How revealing, and encouraging, that there were no derogatory or negative comments from the many hundreds of people gathered to watch the parade, in which two of the local Lodges took part. It made me think of the lyrics of that song from the sixties (yes – I’m that old!) by The Herd: “Out of the land of shadows and darkness, we were returning toward the morning light”. Perhaps 2018 will become the new “Anno Lucis”, which will see future Masonic historians referring to the time when Freemasonry once again turned its face to the world, and shone forth the light of benevolence, peace, harmony and equality which was so forthrightly promulgated by our founding fathers of UGLE some 300 years ago. And as us “old boys” fade away, we can proudly pass the torch (and our collars!) 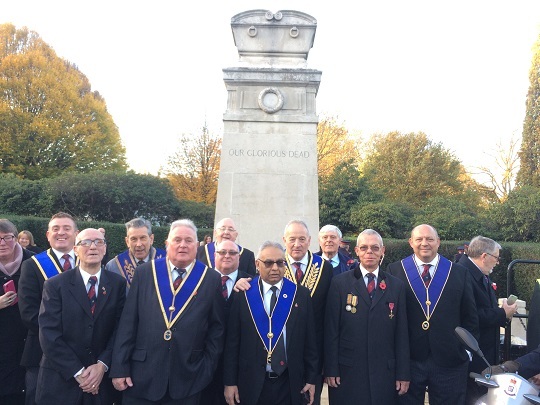 to the younger generation of Masons now entering the organisation in increasing numbers, to carry on shining light into the darkness of despair and misery, wherever they encounter it. More openness and more recruitment.